If you’re looking to boost the beauty and enhance the value of your home, the team at Homestead Roofing can help. 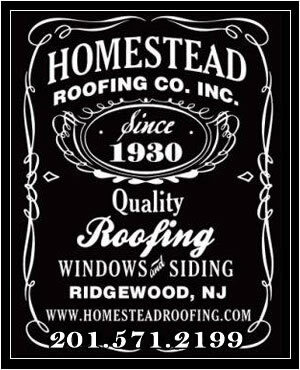 We have been providing roof installation, roof replacement, and other home exterior services to Northern New Jersey since 1930. 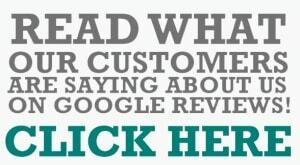 We are a family owned and operated company, and our friendly staff is dedicated to ensuring that you get the great products and excellent service you deserve. Check out our FAQ’s below or call (201) 444-2233 to speak with someone about any questions you may have! Why are flat roofs a smart investment? If you have your flat roof properly installed by an experienced professional, it should stand you in good stead for at least a quarter of a century. Flat roofs are more stable than standard sloping roofs, they take up less interior space, and they are more cost-effective for many people. They’re also easier—and safer—to inspect. What are TPO (thermoplastic polyolefin) roofing systems? Thermoplastic polyolefin is an ethylene-propylene rubber membrane that has become increasingly popular for roofing. TPO is highly durable and tear-resistant, and it is not made with environmentally hazardous materials. It also reflects heat extremely well, making it one of the most energy-efficient roofing products available today. Asphalt shingles are a versatile and affordable roofing material that can be used for many different types of houses, and they’re also available in a wide array of colors and styles. However, they are more vulnerable to sun and mildew damage than other roofing materials, and they tend to require more frequent replacement. Are wood shingles a good option for my roof? If you want an attractive and natural-looking roofing material, wood shingles are an excellent choice. They insulate well, and they tend to last for decades without the need for replacement. The drawbacks of wood shingles are that they are flammable, prone to rotting or mold, and require more maintenance than other types of roofs. When should I have my roof replaced? The best way to tell whether your roof needs to be replaced, rather than simply repaired, is to talk to an experienced roofing contractor. Common signs that a roof has outlived its natural lifespan include frequent repairs, extensive moisture damage throughout your entire roof, and widespread deterioration. If you’d like to learn more about how you can transform the exterior of your home, call Homestead Roofing today at (201) 444-2233. We are proud to provide our services to the entire Northern New Jersey area, including Franklin Lakes, Saddle River, and Glen Rock. We offer free estimates, competitive rates, and high-quality work.